TORONTO — The Canadian Academy of Recording Arts and Sciences (CARAS) announced today that artist submissions are now open for JUNOfest Presented by CBC Music. On Friday, March 15 and Saturday, March 16, 2019, JUNOfest will showcase artists of all genres, from across the country. Over 100 artists will take the stage at multiple venues across London, Ontario during the two-night festival, performing for fans, media and the music industry. This year’s JUNOfest will be produced by Brandon Eedy (SummerCamp Productions, London Music Hall/Rum Runners). 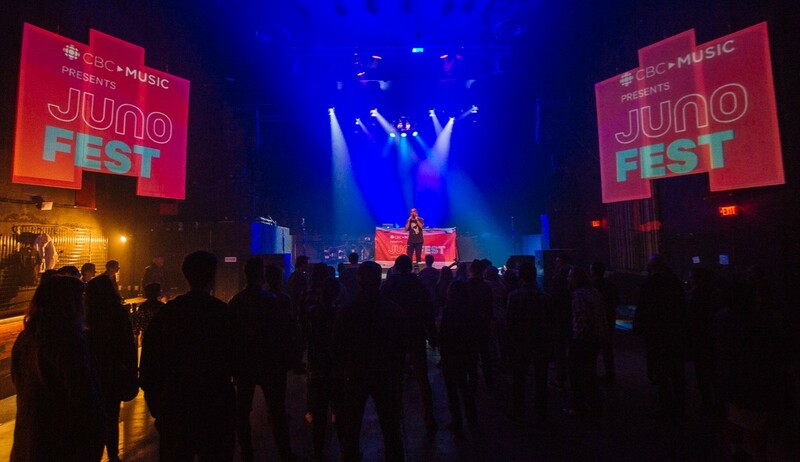 “We are very excited to be bringing JUNOfest to London for the first time,” said Katy Venneri, Director of Events, CARAS/The JUNO Awards, & MusiCounts. “We are looking forward to showcasing the best musical talent London and Canada have to offer and make this year’s JUNOfest a success for everyone involved.” Canadian artists interested in participating can apply online between November 8 and December 21, 2018 at www.junofestsubmissions.ca. WHAT: JUNOfest is an annual music celebration jam-packed with an impressive roster of Canadian artists across all genres. Over 100 musical acts including local London artists, 2019 JUNO Award nominees, and some of Canada’s top touring talent will hit the stage. HISTORY: JUNOfest has showcased over 1,000 artists and bands of all backgrounds and genres including: Alexisonfire, Ammoye, Arkells, Bedouin Soundclash, Billy Talent, Cadence Weapon, Clairmont The Second, Classified, DJ Shub, Feist, Fucked Up, Hannah Georgas, Hey Rosetta!, Hollerado, Iskwé, The Jerry Cans, Jim Cuddy, Jully Black, Kardinal Offishall, Karl Wolf, Maestro Fresh-Wes, Marianas Trench, Matt Mays, Metric, MSTRKRFT, Ria Mae, Said the Whale, Sam Roberts, Shad, The Sheepdogs, Silverstein, Sloan, Tanya Tagaq, The Wailin’ Jennys, Weaves, Whitehorse, Wintersleep, Yukon Blonde, and hundreds more. The 48th annual JUNO Awards and JUNO Week 2019 will be hosted in London from March 11 through March 17, 2019, culminating in The JUNO Awards, on Sunday, March 17, at Budweiser Gardens, broadcast live at 8 PM ET on CBC, CBC Radio and globally on cbcmusic.ca/junos. 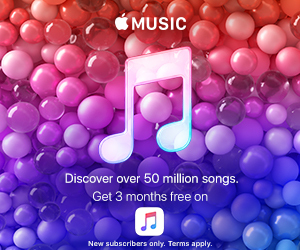 Apple Music and TD Bank Group. Ontario Creates, The Province of Ontario, the City of London, Tourism London.